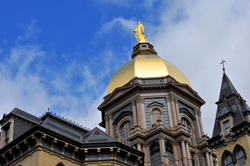 Scott S. Cowen, Celeste Volz Ford and Timothy F. Sutherland were elected to the University of Notre Dame’s Board of Trustees at the Board’s spring meeting May 4. In other board action, three Trustees were elected to emeritus status: Douglas Tong Hsu, chair and chief executive officer of the Far Eastern Group; John F. “Jack” Sandner, retired chairman of the board of the Chicago Mercantile Exchange; and Rev. David T. Tyson, C.S.C., provincial superior of the U.S. Province of Priests and Brothers of the Congregation of Holy Cross. Members of the Board of Trustees, fellow honorees, Father Jenkins, honored guests, parents, families, friends, and most importantly the class of 2012, welcome and thank you. It is a true privilege to share this day with you, to be honored with a degree, as you are honored with your degrees, and to join the class of 2012. When Father John called to invite me to be your speaker, he first mentioned that the University wanted to give me an honorary degree. That news alone was so unexpected and overwhelming, that I actually missed the part where he asked me to give the commencement address. 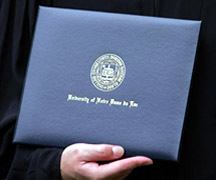 More than 2,900 students will receive degrees at Notre Dame’s 167th University Commencement Ceremonies, which will be held on campus May 19 and 20 (Saturday and Sunday). Degrees will be conferred on 1,973 undergraduates at the Sunday ceremony. 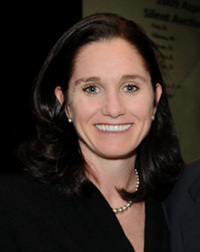 Alumna Haley Scott DeMaria, who made an inspiring recovery from critical injuries suffered in a tragic 1992 bus accident involving the Fighting Irish swimming team, will be the principal speaker and will receive an honorary degree. 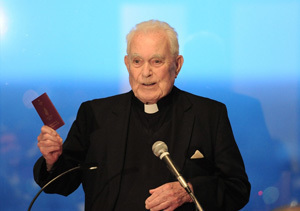 Ken Hackett, former president of Catholic Relief Services, will receive the 2012 Laetare Medal, Notre Dame’s highest honor and the most prestigious award given to American Catholics. 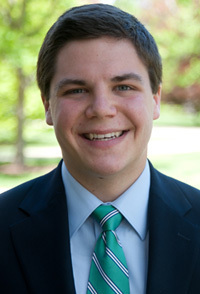 Michael J. O’Brien, a political science major from St. Charles, Ill., will deliver the valedictory address. 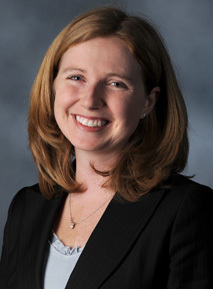 Erin Hoffmann Harding, associate vice president for strategic planning at the University of Notre Dame, has been appointed vice president for student affairs at the University, succeeding Rev. 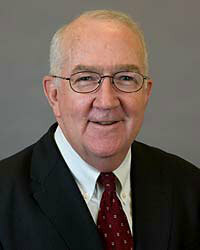 Thomas P. Doyle, C.S.C., who will join Notre Dame’s Institute for Educational Initiatives as a faculty fellow focusing on initiatives in Catholic educational leadership development. He also will continue pastoral ministry among students and assist the Office of Human Resources with an initiative related to integrating Catholic mission. “Erin brings with her to this new position a wide range of extraordinary skills that will serve the University well,” said Rev. 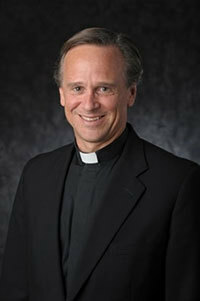 John I. Jenkins, C.S.C., Notre Dame’s president. “I appreciate her accepting this appointment and look forward to working closely with her and the division to enhance our student life initiatives, which have always been and will remain a distinctive part of Notre Dame’s educational experience. In response to student suggestions, the University of Notre Dame has taken several new steps to better support gay, lesbian, bisexual and questioning members of its community. 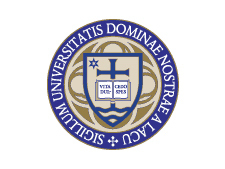 The result of meetings between student leaders and members of the University’s administration, the initiatives include improving awareness of existing non-discrimination practices and protections as articulated in Notre Dame’s discriminatory harassment policies and “Spirit of Inclusion” statement, and enhancing the structure and functions of the Core Council for Gay, Lesbian and Bisexual Students. 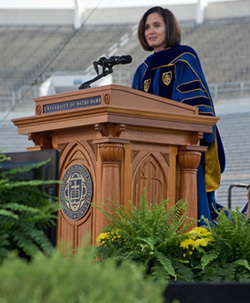 Ten distinguished figures in business, education, engineering, law, mathematics, media, medicine and the Catholic Church will join principal speaker Haley Scott DeMaria as honorary degree recipients at the University of Notre Dame’s 167th Commencement Ceremony May 20 (Sunday). 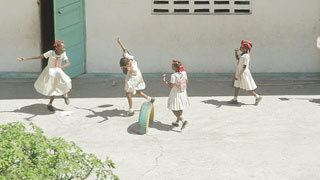 The ceremony will be held in the morning at Notre Dame Stadium in order to accommodate as many guests as possible. 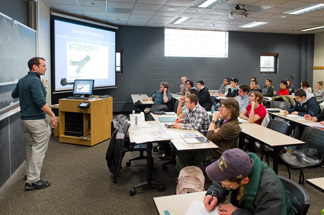 Undergraduate diploma ceremonies for each college and school will be held the afternoon of May 20, and the Graduate School ceremony will take place May 19 (Saturday). The University of Notre Dame is the No. 4 “dream college” among parents of college applicants, the Princeton Review reported in its annual “College Hopes and Worries” survey. Notre Dame moved up from the No. 9 slot last year. Released Tuesday (March 27), the rankings are, in order, Stanford University, Princeton University, Harvard College, Notre Dame, Massachusetts Institute of Technology, University of Pennsylvania, Cornell University, Duke University, Yale University and University of Southern California. 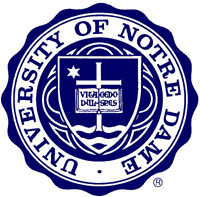 Haley Scott DeMaria, the University of Notre Dame alumna who made an inspiring recovery from critical injuries suffered in a tragic 1992 bus accident involving the Fighting Irish swimming team, will be the principal speaker and the recipient of an honorary degree at Notre Dame’s 167th Commencement Ceremony on May 20. 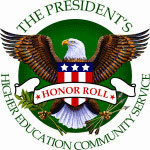 The University of Notre Dame has been named with distinction to the 2012 President’s Higher Education Community Service Honor Roll in recognition of the role it plays in solving community problems; achieving meaningful, measurable outcomes in the communities it serves; and placing students on a lifelong path of civic engagement. 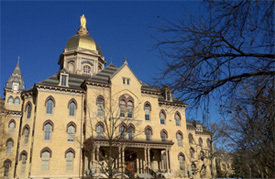 The University of Notre Dame’s Mendoza College of Business ranked No. 1 in the country for the third consecutive year in Bloomberg Businessweek’s seventh annual survey of “The Best Undergraduate Business Schools.” The ranking was announced today (March 20). 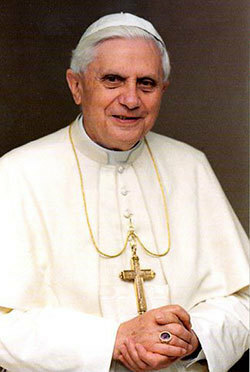 Before he was Pope Benedict XVI, before he was a cardinal and a Vatican bureaucrat, and before he was archbishop of Munich, the German priest and professor Joseph Ratzinger taught theology at the Universities of Freising, Bonn, Munster, Tubingen and Regensburg, served as a theological consultant at the Second Vatican Council and wrote several widely acclaimed and influential books of theology. Touching on nearly every imaginable theological topic, that career, uninterrupted and even magnified by the theologian’s election to the papacy, will be the subject of a conference, “God is Love: Explorations in the Theology of Benedict XVI,” to be held at the University of Notre Dame March 25-27 (Sunday-Tuesday). 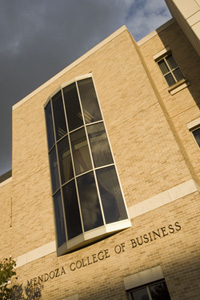 The Notre Dame MBA, located in the Mendoza College of Business, was noted by the publication as one of the “most improved” schools in the ranking for moving from a tie for 37th to the 25th rating, which it shares with four other schools. The College of Engineering at the University of Notre Dame has announced a $6 million gift from the Fotsch Family, to establish the William E. Fotsch Family Undergraduate Scholarship in Engineering.